With summer just around the corner, many of us are getting serious about getting in shape. Enjoying the summer sun in a brand new bikini is one great part about the warmer months. Feeling and looking your best while you do, however, can make it that much more enjoyable. 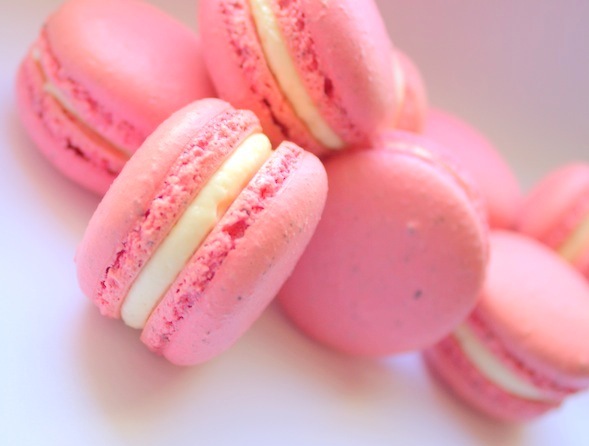 One way I like to help my cravings are with clothes and accessories inspired by my favorite indulgent treats. If you want keep up your healthy routine to get that summer bod you’ve been working hard for, treat yourself to my top 4 trendy picks. These delectable duds will have you looking chic and will satisfy your hunger for fashion. When it comes to guilty pleasures, pizza is at the top of my list. Now of course I do indulge in a multi-topping pie from time to time. 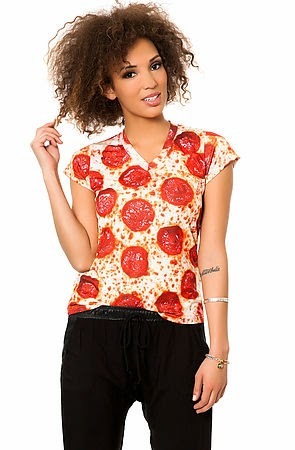 But if you’re really trying to be good, karmaloop.com has a deliciously fun pizza tee shirt that looks good enough to take a bite out of! Every gal needs a couple comfy and cute tees to throw on for a casual day or night out. Why not have some fun with your wardrobe and take food Fridays to a whole other level?! While your friends are snapping away photos of their lunch and posting them on social media outlets, snap a picture of you and show them how good YOU look. Who can resist an ice cold treat when it’s hot out?! 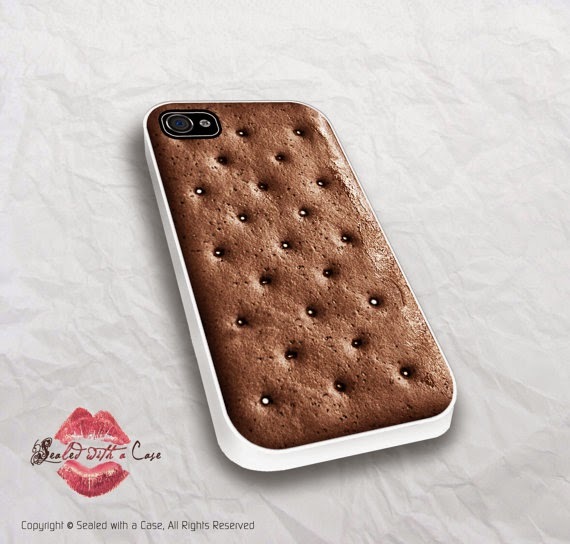 Well, you can thanks to etsy.com’s yummy and adorable ice cream sandwich phone cover. I absolutely love this phone cover because it really looks like the real thing. Accessories such as phone covers come and go, so I think it’s always a great and fun idea to mix and match your collection. Etsy.com has a wide variety of mouth-watering phone covers that will satisfy any fashionistas appetite. This is the perfect way to let your inner foodie and your inner techie join forces! Sometimes enjoying your favorite soda makes a good day, great. We all know, however, that soda is not the best thing for you, especially if you’re trying to stay fit and healthy. In my opinion, the best sodas are the one’s you don’t have to drink to enjoy. 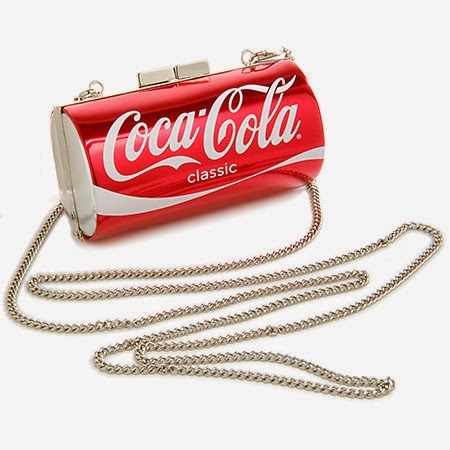 I am obsessed with coca-colastore.com’s Coca-Cola can purse! It looks exactly like a soda can, and is the perfect size to tote your everyday essentials in. This purse is fun, unique, and perfect for summer! Whether it’s breakfast, lunch, or dinner, I can admit I could eat bacon no matter what meal. If you’re a true bacon lover like I am, than these bacon flip-flops from zazzle.com are a must have! Flip-flops are essential to summer, so make this year’s pair unforgettable! 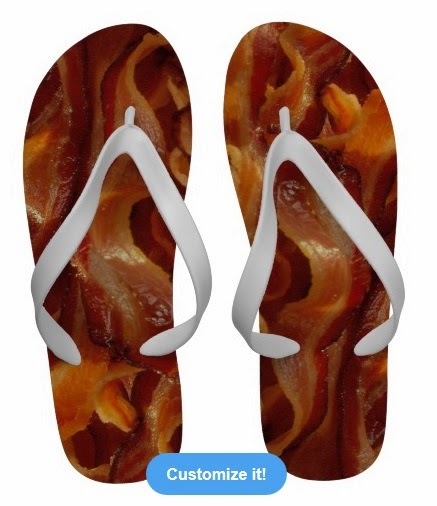 If bacon isn’t your food of choice, zazzle.com features a variety of food-inspired flip-flops for all foodies to pick from. These flip-flops are perfect to throw on for a sunny-day outing, and not to mention are the perfect way to walk the calories off! While some believe in the saying “nothing tastes as good as skinny feels,” I say that’s a good motto to remember if you’re trying to get healthy. But of course, everything in moderation. Depriving yourself is not the way to a healthy lifestyle. Adding some fun food items to your wardrobe adds an element of fun that turns your cravings into a stylish and guilt-free day! !